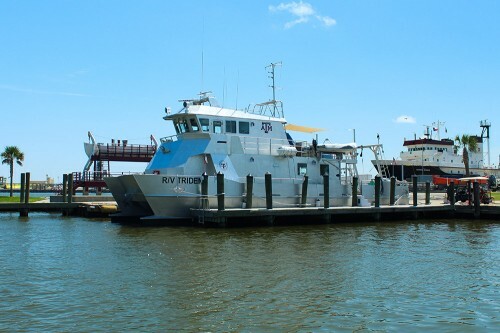 The R/V Trident, a new $2.5 million research vessel that features a unique hull design, has joined the fleet of Texas A&M University at Galveston. The all-aluminum 65-foot catamaran features a unique canoe hull and Z-bow configuration, which will allow it to slip through the water with ease. This will give the Trident a cruising speed of at least 15 knots with low-fuel consumption and an exhaust gas reduction of 60 percent from the current vessel. 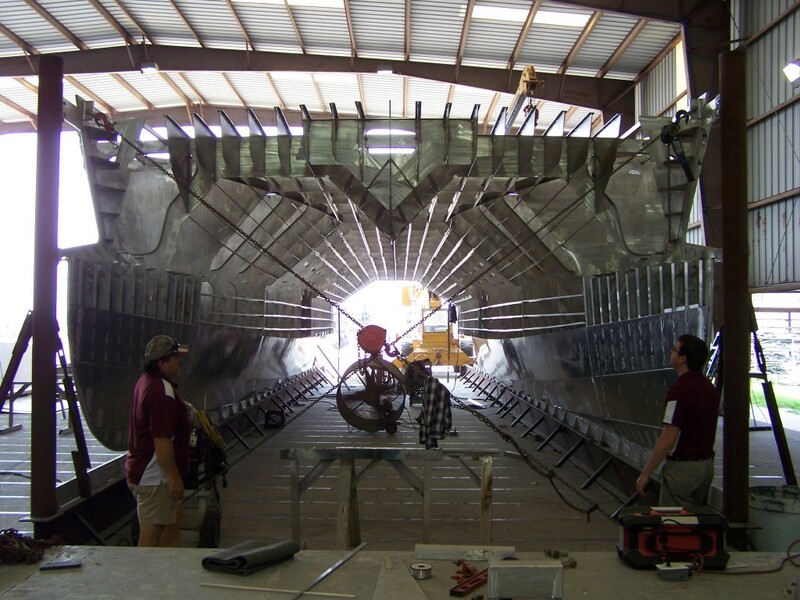 Constructed by GEO Shipyards in New Iberia, La., the custom-built, state-of-the-art vessel offers a range of capabilities for underwater research activities, including diving, subsea remote operating vehicles, flow-through water sampling and subsea geology coring. The Trident was designed for efficiency, durability and multi-mission capability. It will carry as many as 44 passengers within 20 miles of shore and eight scientists out to 200 miles from shore. Texas A&M-Galveston is the maritime and marine campus of Texas A&M University. It is a special-purpose institution offering academic programs, research and service in marine and maritime studies. The institution is home to the Texas A&M Maritime Academy, the only maritime academy located on the Gulf Coast.